Today, the Polycom (Nasdaq: PLCM) RealPresence Group Series has been announced to be the only standards-based video endpoint to be officially certified for Microsoft Office 365. Customers moving towards Office 365 can now utilise key professional Video Conferencing endpoints for their meeting space, whilst ensuring full compatibility with the Unified Communications solution. 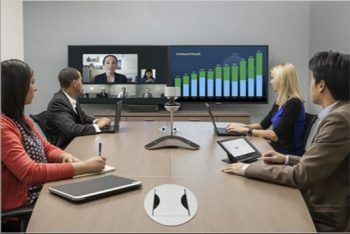 Customers will be able to have award-winning audio and video experiences in a Skype for Business meeting, making the experience better in the meeting room with solutions such as the Polycom EagleEye Director II camera, high definition audio and dual-screen support. Organisations will also get the Skype for Business Experience for joining and controlling their conferences. For Polycom customers, they now have the confidence that the RealPresence Group Series is an official Office 365 device, with Microsoft and Polycom PGS support if they need it. 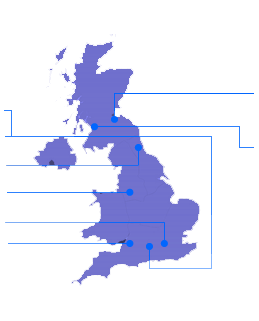 Get in touch to discuss options – VideoCentric can discuss the opportunities to register your Polycom endpoints to Skype for Business, and share thoughts on suitable solutions for your environment. We can also work with you to deploy, manage and support your Skype for Business/Office 365 deployment, integrated with professional meeting room technology.